Tuesday 5th February 2019 is this year’s “Safer Internet Day” and will be celebrated by hundreds of organisations, schools, colleges and pre-schools around the world. The aim is to raise awareness of the benefits and risks posed by the internet, and to promote the safe, responsible and positive use of it (and other digital technologies), for children and young people. The day is coordinated in the UK by the UK Safer Internet Centre, which is a partnership formed by three charities: Childnet International, the South West Grid for Learning (SWGfL) and the Internet Watch Foundation (IWF), supported by the European Commission. Safer Internet Day has grown over the years and is now marked in over a hundred countries, so why not get involved in your own setting this year? The theme for this year’s day is “Together for a better internet” and will explore how ‘giving consent’ works in an online context. 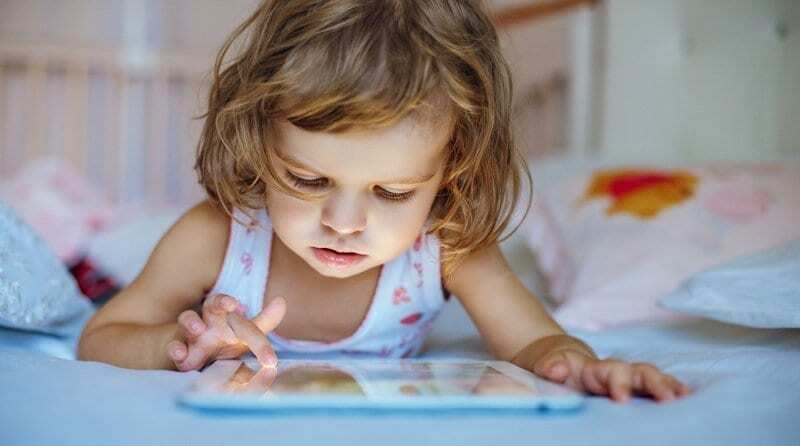 This means looking at how children (and parents) give their permission for their images, videos or personal information to be shared online; offering information and advice about how to ask for consent; as well as looking at the responsibilities children have for themselves and their friends. With so many opportunities out there for taking, uploading and sharing images and information nowadays, this topic is something that should be openly talked about and clearly addressed. It is not about scaring children but helping them understand the risks and develop good habits by taking responsibility for themselves and others. As an organisation who is actively involved in the education and care of young children, you can register as a supporter of Safer Internet Day, use their campaign toolkit to spread the message, and gain access to SIDTV to use as conversation starters. You can also sign up for their free newsletter too, with packs being available in English and Welsh. Make sure that you have robust and published policies related to the use of data (compliant with European GDPR), permissions for the taking and sharing of photographs, digital access and use of the internet. This should apply to the staff as well as the children. Remember that this should include all devices that are capable of storing data, taking pictures/video or accessing the internet, so will include computers, smartphones, smartwatches, voice-recorders, tablets and gaming-platforms. Keeping children safe online has to be a collaboration between the child, pre-school, peers, staff and parents. Free downloadable resources for parents are available at www.childnet.com to help start discussions. You can also contact SWGfL, a partner in the UK Safer Internet Centre, at: www.saferinternet.org.uk/e-safety-training-events as they run bespoke training sessions that you could tailor for your setting. Training can be organised for children from aged 3, as well as adults, carers, parents and staff. You could organise a craft activity to create a wall mural or poster display about positive things that the children use the internet for, and to begin to raise awareness of some of the risks involved, including consent, photos, videos and sharing. Remember, there are many more positive things about the internet than there are negative, so keeping a balance here is important. Add an article or information to your own pre-school website linking to the Safer Internet Day site, inviting parents’ help and telling everyone what you are doing to support the initiative. Lead a session in your nursery about safer internet use by using some of the ‘Smartie the Penguin’ or ‘Digiduck’ resources, available at: www.childnet.com/resources. This site is run by one of the Safer Internet Day partners and includes information, resources, videos, and questions to help introduce the topic to children and get them involved. The SMART rules have been set up to help children understand how to keep themselves safer online. The acronym SMART reminds children of key internet issues, so you could make a poster and talk about the issues involved. S Safe – don’t give out personal information.S Safe – don’t give out personal information. M Meet – be wary of meeting people you have met online. Only do so with carers/parent’s permission and when they can be there too. A Accepting – be aware of who you accept as ‘friends’ and what you accept online – they could contain nasty viruses or worse! R Reliable – are the things you read online reliable? It could all be lies! T Tell a trusted adult if someone, or something, makes you feel uncomfortable or worried, or if you or someone you know is being bullied online.